Sunscreen to me is super important especially now that I live in Florida. I find that the best and the easiest way to work sunscreen into my daily routine is by incorporating it into products that I am already using. Today's we'll be taking a closer look at a new addition to my day-time skincare routine, SUPERGOOP! 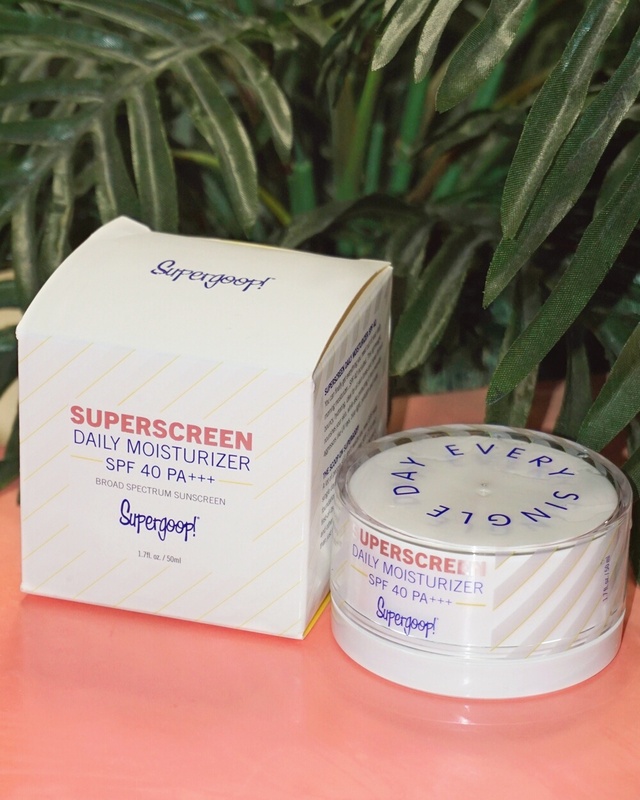 Superscreen Daily Moisturizer Broad Spectrum SPF 40 PA+++. Hello and welcome to my blog Universally Cute. My name is Regina and I am the creator, photographer and writer for UniversallyCute.com.